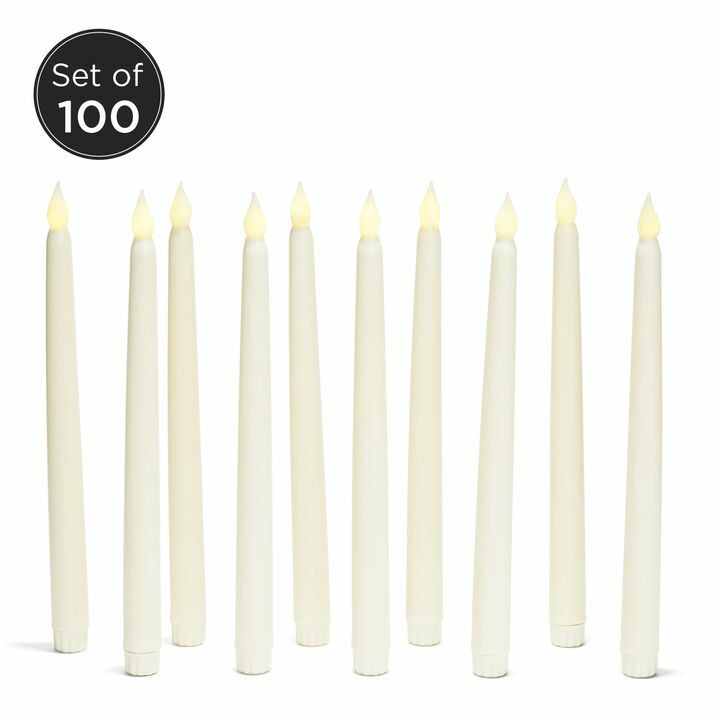 There are only 100 available of the Classic Ivory 10" Wax Flameless Taper Candles, Set of 100. Your selected quantity has been adjusted. 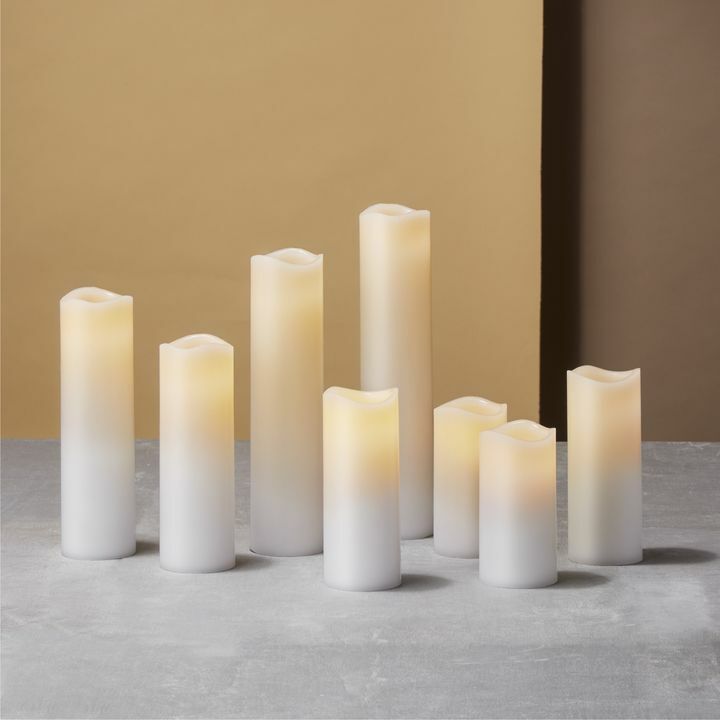 These slender, ivory, flameless wax taper candles add warmth and sophistication to any occasion without the worry of messy drippings or open flame. Let them seamlessly create ambiance for your special event or church service. Perfect for home, weddings, churches, restaurants, and events. These candles are so cool! I bought them for use at my upcoming wedding. I was super skeptical because I wanted real candles but my venue doesnt allow them. They are great and will work wonderfully with my decor! These are beautiful! I will buy again. Arrived to my rural location in time for a community party & the tapers fit perfectly in a chandelier that softly illuminated an 1900's outbuilding just enough (together with opened windows) for tours. Looked authentic enough for the event. Loved the real was and the remote control. Good product, quick shipping. Thanks. My ordered arrived quickly. Candles were in great shape. The flickering glow looks realistic in a dark room. Will purchase again. These are very high quality and very beautiful; cannot wait to use on the reception table at my niece's upcoming wedding! I love these flameless tapers. They are so easy to control remotely and offer a safe elegant setting. Candles are amazing. I love that you can set the timer for 4 or 8 hrs. The flickering lights look so real! On Christmas Eve our whole house is lite by candlelight. The electric candles were excellent in the parts of our house where there was even the remotest possibly that there might be fireвЂ” even the Advent Wreath had them. Thank you for allowing us to maintain the atmosphere without endangering the house! 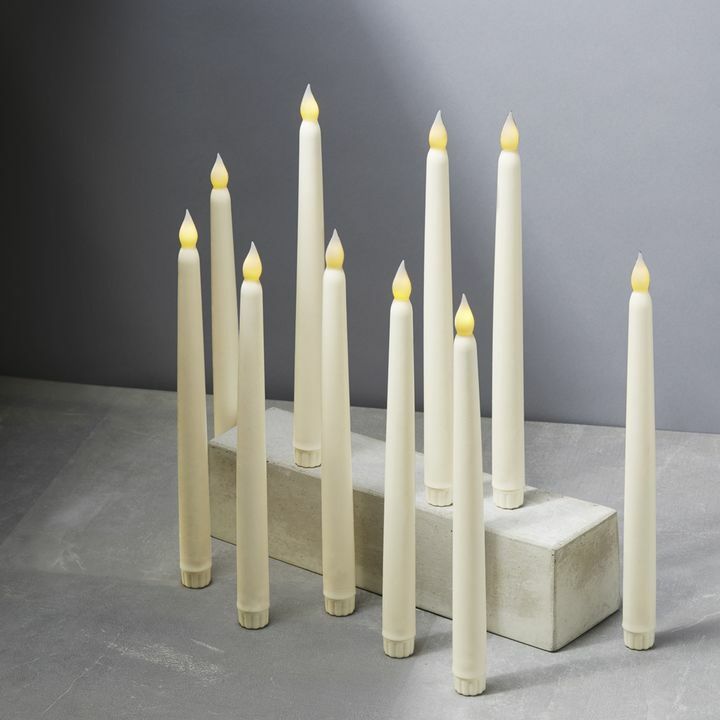 purchased these ten candles, hung them in our 3 story atrium, outside our bedrooms. the remote makes them easy to turn on and extinguish. Great holiday effect. 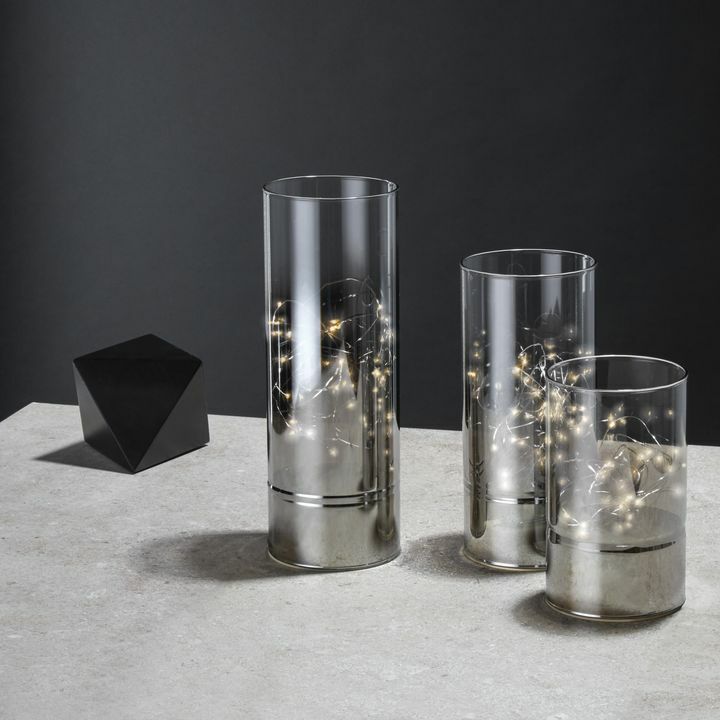 These taper candles are absolutely stunning. The provided an elegant, yet festive addition to our holiday decor. Thank you! These candles are great - they look and feel very realistic and will be perfect for our daughterвЂ™s wedding reception! They look nice and work as advertised. My lights order came just a few days ago and I am so excited about the quality and appearance of the candles. I will use them in candelabras in my wedding next month and can't wait to see them in the late afternoon! Worked great for our wedding! I purchased for a wedding. I ordered 40 tapers to go in the windows of our historic church for Christmas. The old church is outfitted with candle holders but because of fire danger we've never had any until I found these tapers. I'm really excited for people to see them Christmas Eve. 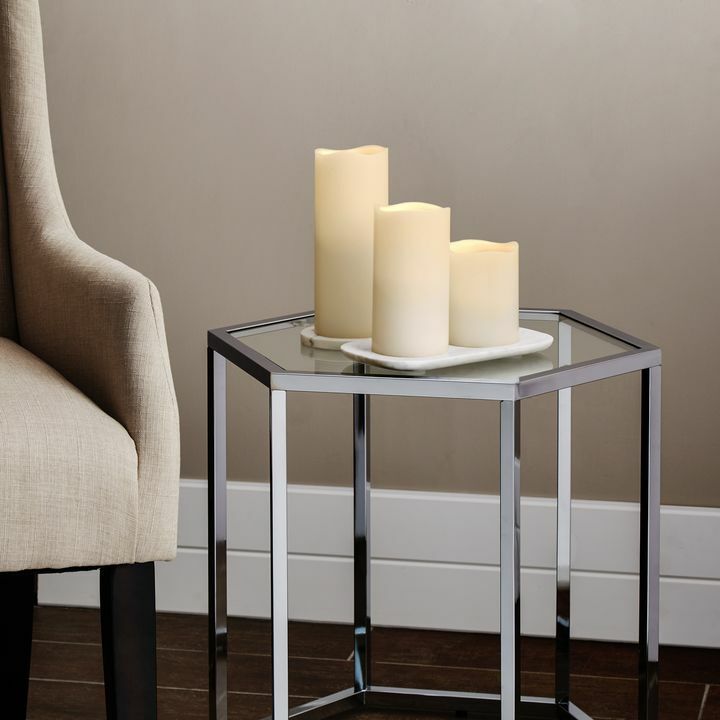 We love the tapered candles! The most realistic candles on the market! I love these candles! They have a more realistic look and feel.They will be great for the holidays and I can't wait to use them. We bought the ivory tapers for use as center pieces for a wedding. We have not had the wedding yet, but did test a couple of the candles. They are exactly what we were seeking. I love the wax feel, and that the flickering of the light is soft and not cartoonish. These candles work great and look great, love them! Really like the wax appearance of the candles. Wish the flame would be a little more realistic, but I know this is hard to do. Will recommend to others and purchase again. Loved the quality of my LED candelabra's, that came on time and all of them worked. I also loved that they came with batteries. So convenient! This shipment was correct with ivory instead of white (last shipment) this shipment had plastic between battery and bottom cap-all candles were wrapped- all candles worked and lite up and were not broken --- so yes very pleased with this shipment. Thank you!! Great customer service. 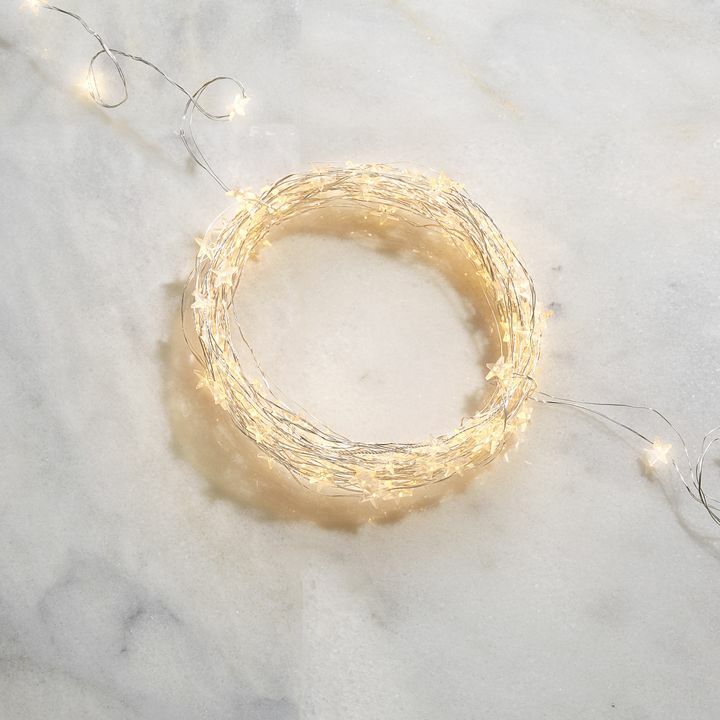 These are lovely, and perfect for a wedding reception where open flames are not allowed. The lights came quickly and out of 200 candles, only 1 didn't light. They worked great and were of much better quality than others I had ordered. Looks great. Just wished the first time I ordered them they worked. I had to send them back and finally received a working set of candles. The first order i received looked like they were used and some of the wax was scrapping off easily. The second set works but still looks like they've been used before since it has blemishes on the wax. At least this time the candles actually work. I need to order more though so hopefully the rest that I order all work! Yes, .78 is less than 7/8. The fraction 7/8 is qual to .87. Can the candles be free standing without a holder for a window? 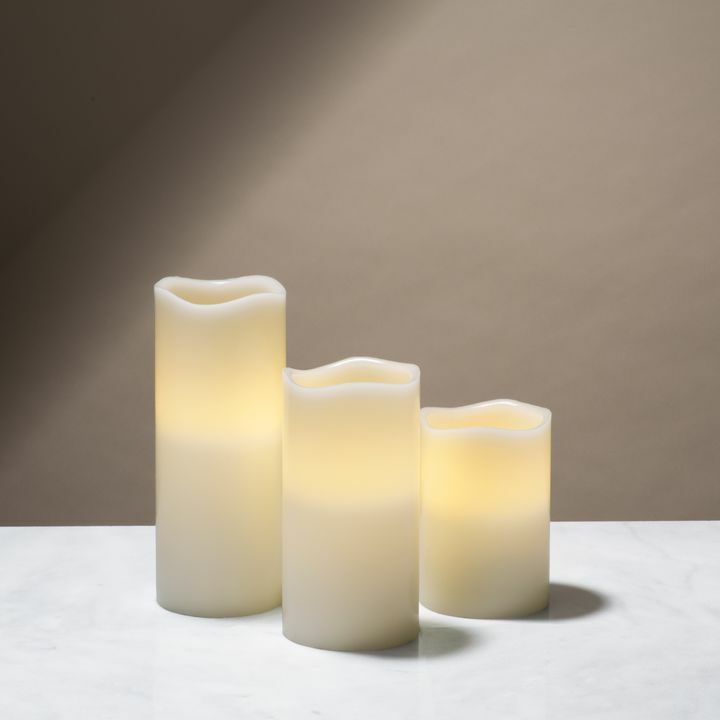 The Classic Ivory 10" Wax Flameless candle description on your site says that they come with a 6 function remote that includes a 4-8 hour repeat timer but your FAQ's for the item say no remote. 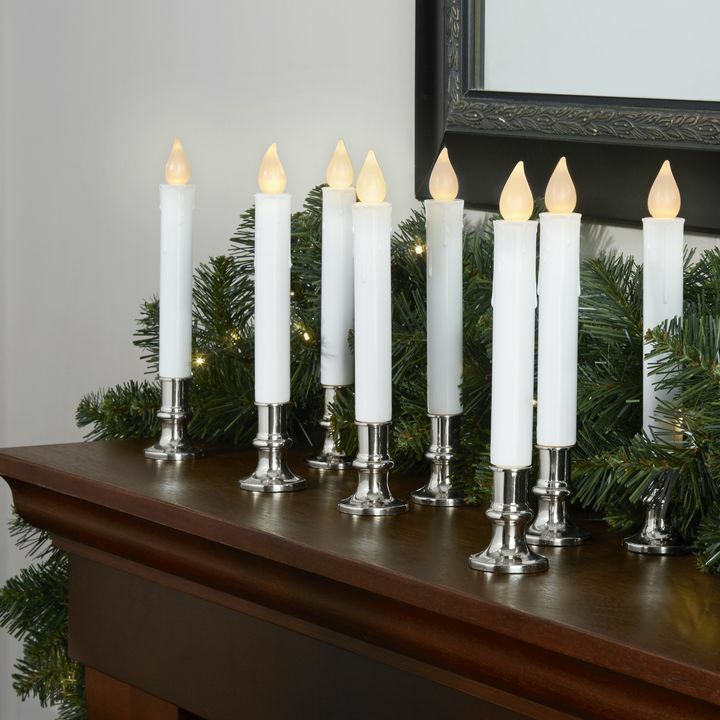 Remote or not, can these candles be set on timer to go on at a certain time each night and then off a certain number of hours later and repeat the next day? this is what your description implies. Please advise. I need the timer feature for Christmas window candle use. 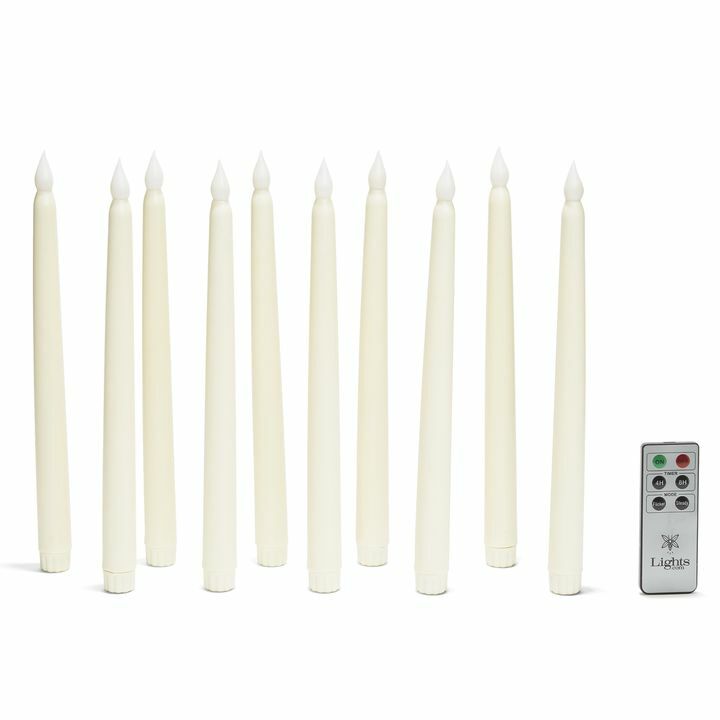 The Classic Ivory 10" Wax Flameless Taper Candles, Set of 10 arrives with one remote, The remote has a timer function that includes a 4hr and 8hr setting. Will they melt or bend if placed near a sunny window during the day? The diameter of the candle is .78". So long as the opening of the bottle is wide enough and the candle does not come in contact with liquid, these candles can be placed in wine bottles. Please clarify base dimension. Is it .78" or 7/8"? The base dimension is .78 inches. can the candles be painted. I don't know how well paint will stick to the wax but I don't see why not. How do u turn on/off? The cap located on the bottom of the candle, you can twist to the right to turn them on and twist left to turn them off. Do they fit regular candle holders? What are your shipping charges & delivery time? 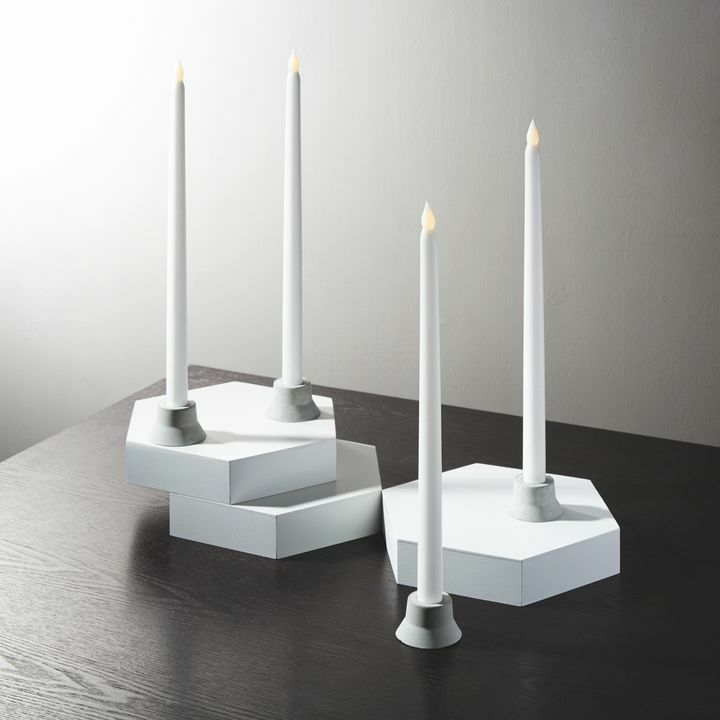 We do recommend for you to measure your candle holders to ensure that they would fit. Most of our candles do fit standardised candle holders. For standard ground, shipping rate is $9.95. Shipping is free with orders of $150 or more. Our standard shipping takes up to 7 business days. Are the AAA batteries for each candle included? Yes, the batteries are included. Do these flicker? Is there a video available? 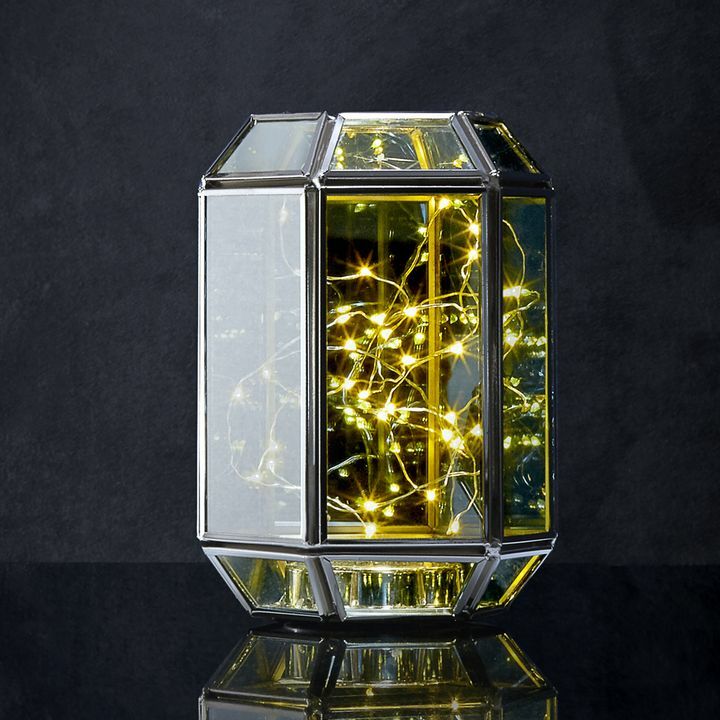 i am looking for very realistic looking candles for my wedding center pieces. They do flicker though there is no available video at this time. How many hours do you get from each set of batteries? 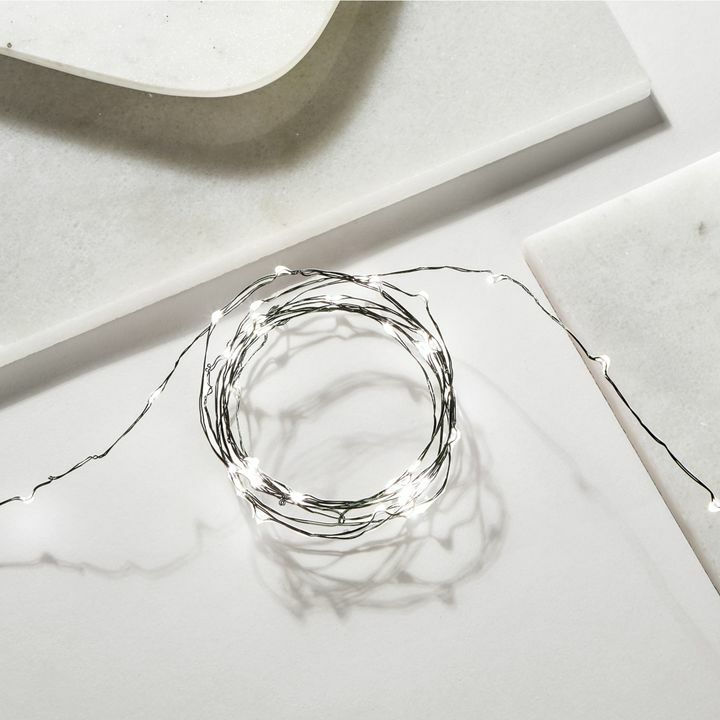 These candles uses AAA batteries which lasts at least 90 hours. How do these turn on and off? To turn these candles on/off, after placing the batteries from the base, you would need to twist the cap to the right to turn on or to the left to turn them off.